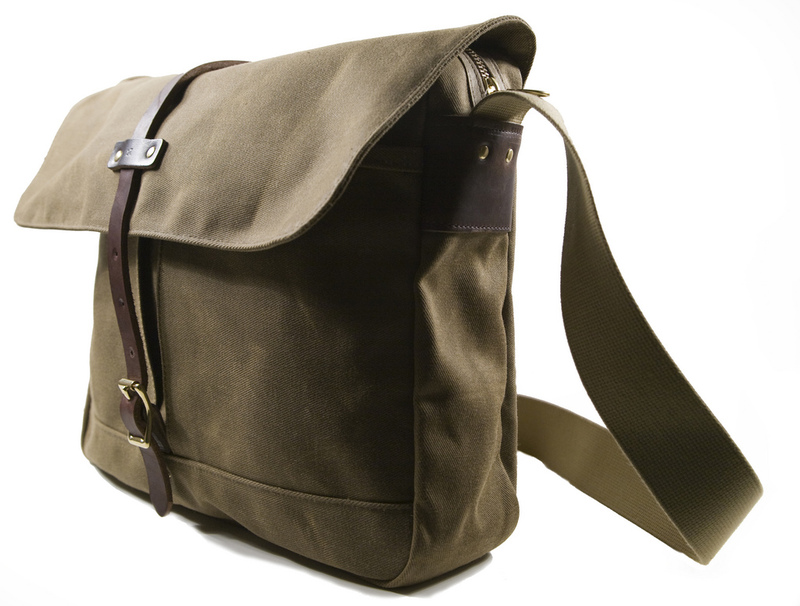 We’re proud to present the Archival Clothing Field Bag. It’s intended as a daily workhorse, a crossover between a traditional English fishing bag and an urban messenger bag. Durable construction and practical features allow the bag to excel at carrying gear both outdoors and to the office. Features include a roomy main compartment, two bellows pockets, and one large pocket across the back. A solid brass ring provides an easy attachment point for keys or fishing net. Leather strap, roller buckle, and a heavy-duty RiRi zipper secure the bag’s contents. 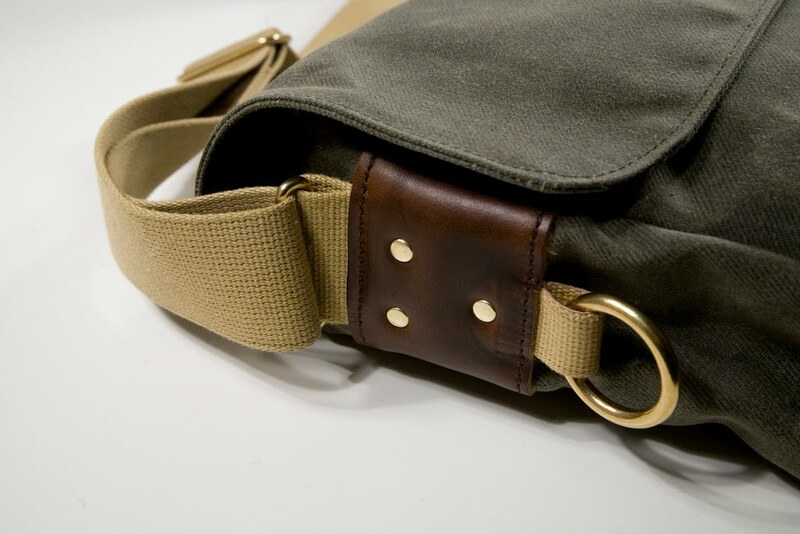 Seams are bound in waxed cotton tape, all stress points are bar-tacked or riveted, and each bag is hand-numbered. 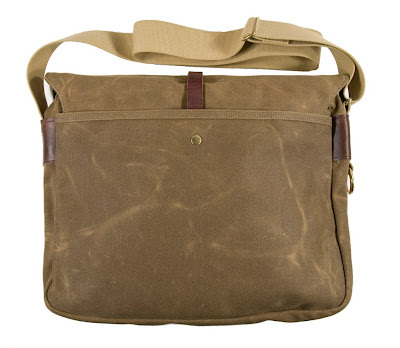 Easily fits laptops (up to 15″) in the owner’s own sleeve. 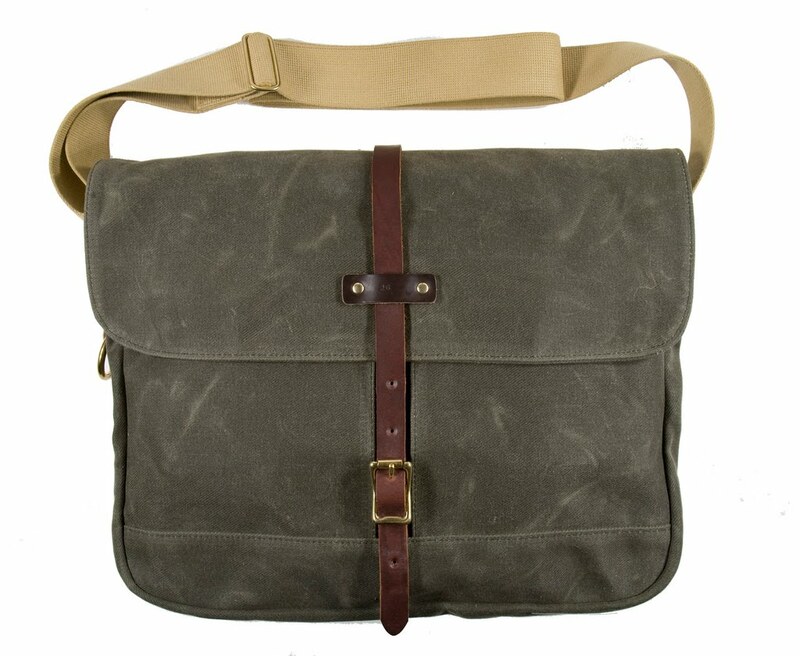 Available in Ranger Tan and Olive twill. Coming in mid-December, Field Bags in Gray and Dark Brown twill. 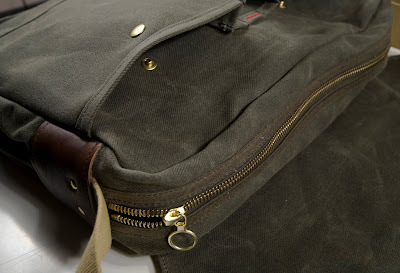 Highest quality materials: Waxed twill fabric, Horween leather, and thread are of US origin. Webbing and most of our brass hardware is sourced from the UK. RiRi zippers are made in Switzerland. Can’t wait for the gray! I’ve admired the beautiful combination of gray twill and Horween leather of your rucksack for a while, but this bag meets my needs much better. You’ve got a sale once they’re ready. I love the bag, it works on a casual outfit. Ooooo . . . daddy like! Thanks for adding the net-ring. I think I’ve found my new fishing bag.